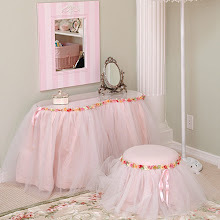 Well, it is getting closer to the arrival of our newest little one! Time has flew by... I can't believe it is almost here! There is so much to reflect on. There will be new challenges but I look forward to them all ;) Ya Right! We'll see if I say that at 2:07 am a few weeks from now!! I plan to take some time away from painting for the first little while & I know my time management skills will need some sharpening up. For all of you who have been checking out my work... thank you very much, I hope you like what you've seen so far. Feel free to join my Facebook group... I will be changing it to a fan page soon so I can keep in touch better with updates. 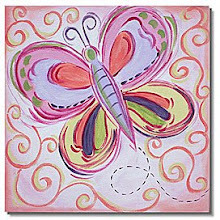 For a sweet new little girl! 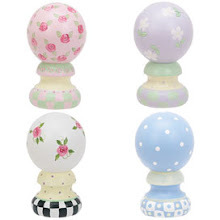 All were created for a trio of lovely sisters to suit their personalities! 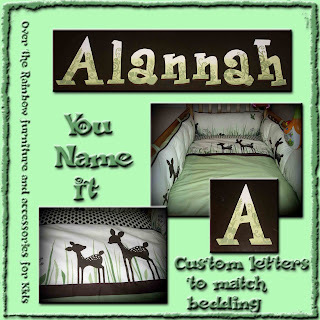 This crib bedding is just so sweet, I couldn't wait to get started on the name letters for this new addition to Tiffany's family. Thanks for the inspiration & Congrats!! I had the pleasure of working on a project for Jen again! 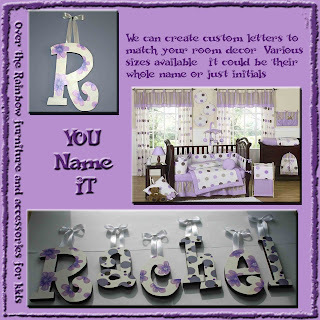 In anticipation of the arrival of her baby girl Rachel, Jen was looking for some letters to go with this sweet polka dot bedding. For Those Who Like To Rock! 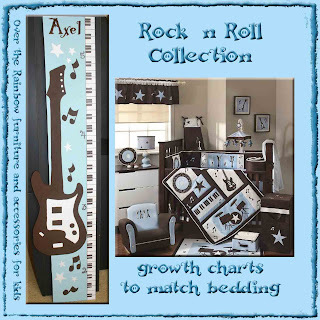 Baby Axel will soon arrive, & his mommy Briana asked me to create a growth chart to go with his Awesome Rock 'N Roll bedding. How cool is that?! He's sure to pick up an instrument as he gets older with a wicked cool room like that! Thanx Briana... Rock On Baby Axel! Arrrgghh....There be Pirates in them Waters! Kohen is gonna be a big brother!! 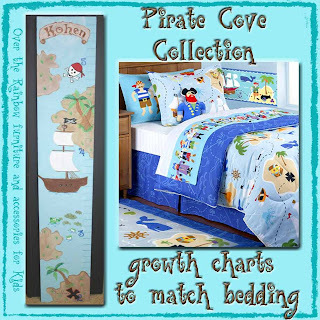 As this little pirate grows his mom can measure him on his Pirate Cove growth chart. I hope he has many treasure hunts in his room! 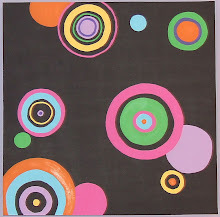 thanx Briana, I enjoyed making these charts...so much Fun!